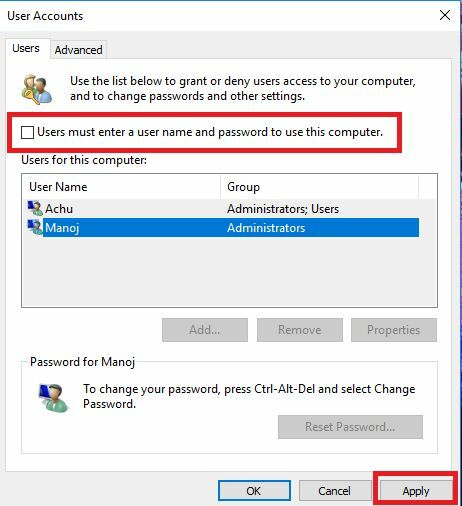 Windows 10 login password is useful to secure your computer and safeguard the data from prying eyes. No one can access your home screen without entering either your Microsoft or local password correctly. But at the same time, it will be a frustrating process to enter the password each time you login into the system. If you are a home computer user, you can disable the Windows 10 login protection. To bypass the login password, just follow these simple steps. 2. Under Users tab, uncheck “Users must enter a user name and password to use this computer” option. Now it will highlight your user account. Click on Apply. 3. A new window will open where you need to enter the current password for the account. Re-enter your password and click OK to automatically log in to the system from the next reboot. Click OK again to save the changes you made. 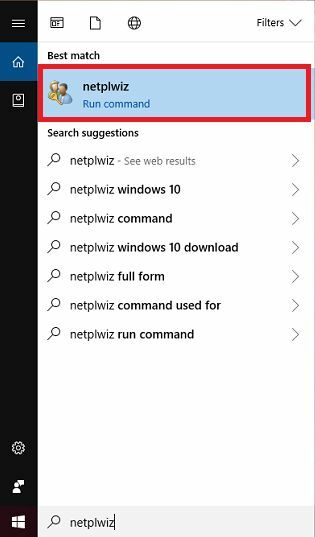 If you may want to reactivate the password in future, run “netplwiz” command again and check “Users must enter a user name and password to use this computer” box. 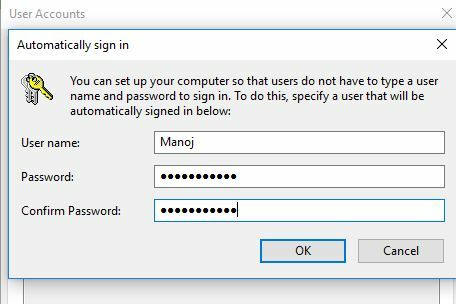 Follow the on-screen instructions to disable automatic sign-in option in your Windows 10 computer.